Former Cuban leader Fidel Castro, whose death was announced late Friday, had a complicated history with Jews. 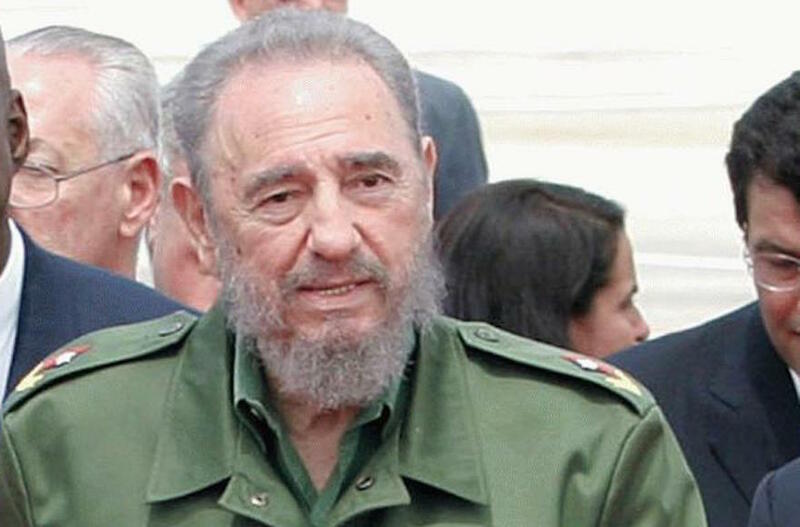 Under Castro, who seized power in 1959, and his brother Raul Castro, who took over as president in 2008, Jews in Cuba were extended religious freedoms and received special rations from the government for kosher meat. But the former Cuban leader also frequently expressed hostile views on Israel. Fewer than 1,000 Jews are now living in Cuba, down from about 30,000 in the 1950s, when Jews began joining the exodus of fellow Cubans who fled the repressive regime of the communist revolutionary. Here are some of Castro’s defining moments with Jews and Israel — as reported by JTA throughout the years. Some prisoners of war who took part in the failed, CIA-sponsored Bay of Pigs invasion (launched by the paramilitary expatriate group Brigade 2506 on April 17, 1961) were reportedly Jews whose parents had arrived in Cuba after fleeing Nazi Germany. These Jewish boys “are perhaps the saddest among the prisoners,” because their parents had felt “the heel of a dictator twice in one generation,” said James Donovan, an attorney working to free the prisoners (later portrayed by Tom Hanks in the film “Bridge of Spies”). About 400 Cuban Jews left their country for the Jewish state in 1995-1999 — and though ties between Cuba and Israel were nonexistent, apparently Castro didn’t mind. The Jewish Agency for Israel was said to have gotten Castro to agree to not make a fuss about “Operation Cigar” by agreeing to keep it on the down-low. Canada, which maintained political relations with Cuba, had also reportedly helped Cuban Jews immigrate to Israel. As Castro stepped down, Jewish Cuban emigres did not expect a change in policy, anticipating that his brother Raul would likely keep the status quote of granting relative religious freedom to Jews while being harsh on Israel. “This means absolutely nothing for the Cuban Jewish community,” said one Cuban Jewish exile. Castro penned a column for a Cuban newspaper dedicated to musings about U.S. President Barack Obama’s chief of staff. “It appears Spanish, easy to pronounce, but it’s not. Never in my life have I heard or read about any student or compatriot with that name, among tens of thousands,” he wrote of Emanuel’s name, which means “God is with us” in Hebrew. In line with previous harsh criticism of the Jewish state, the former Cuban leader called Israel’s Operation Protective Edge a “new, repugnant form of fascism” in a column titled “Palestinian Holocaust in Gaza.” “Why does the government of this country [Israel] think that the world will be impervious to this macabre genocide that is being committed today against the Palestinian people?” the former Cuban leader wrote.